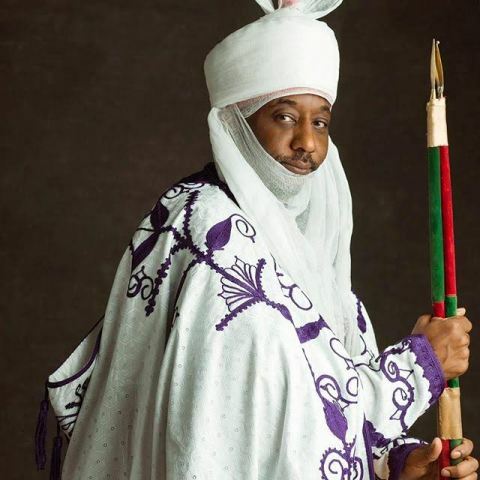 “Treat meningitis…it is science not religion”, Sanusi tells Gov. Yari – Royal Times of Nigeria. The Emir of Kano, Muhammadu Sanusi II has called out Governor of Zamfara, Abdulaziz Yari for his statement that the meningitis outbreak was a punishment from God. The former governor of the Central Bank of Nigeria in Kaduna on Wednesday stated that Yari’s comment had no basis in Islam adding that meningitis had nothing to do with religion, saying it is science. A post on his Instagram page said, “We have this myth in Northern Nigeria. Where we try to create an Islamic society that never existed. We are fighting culture, we are fighting civilisation. Islam is not univocal. There are many view points. We have allowed the most conversation of them to prevail. “What is the purpose of a large population, that is uneducated and jobless? “We (Northern Nigeria) have a complete failure of social policy. To address this, we must reclaim our religion. “Some 200 people died from meningitis. A Governor actually said it was caused by fornication? If Nasir Elrufai sits with investors in London or Abu Dhabi and tells them what he is doing, they will come invest here. “There is a battle of ideologies going on. A real battle without bombs of bullets being thrown (my words). We should stop allowing human beings appropriate our religions for selfish reasons. “I commended El-Rufai for his investment in education and for engaging investors. Growth will not come from rising oil prices or from borrowing and spending government money, it’ll come from investments. “I am a King’s College boy. King’s College (Lagos) produces all the progressive intellectuals. It does not hurt anyone to build on the work of his predecessor. “Meningitis as punishment for fornication has absolutely no basis in Islam. It is science not religion. Treat meningitis, don’t say God is punishing victims. It is science not religion. “The statement by Governor of Zamfara Abdulaziz Yari on God punishing Nigeria with Meningitis is Islamically incorrect. I advise Northern Governors to focus on Education and Girl child education.